'Slow West' is not your typical western by any stretch. It's a fun romp in genre exercise, but done so in a very off-beat stylistic fashion. The storytelling is about as straight-forward as possible. The plot and characters are dealt with the simplest of explanations. It's essentially a collection of creative situations and ironic humor all set to a classic western vibe. Striking cinematography fills every perfectly placed shot. I haven't seen a western this bright and lively in a long time. A pleasant breezy watch, by anyone's standards. 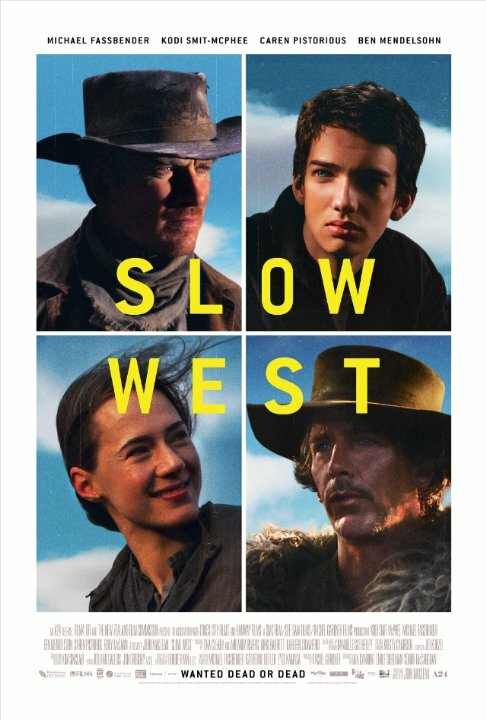 Slow West is a story about love, but also about trust - and how putting your trust in the right (or wrong) person can mean the difference between life or death - especially in a place as unforgiving as the West. aspire some more :) Jessica. Stunning cinematography coupled with some harsh lessons about surviving the West. This and Tommy Lee Jones' The Homesman prove to me that the modern western is alive and well. I have't seen such great shots since Phase 4. The story is food for the brain and some genuine comic situations are inserted. the jar of salt for example. there are, also, some witty facts: rubb your face with secretion from a tree to not get sunburns, dry your wet clother by using a rope between two horses. and so your on the way to great fun and adventure.